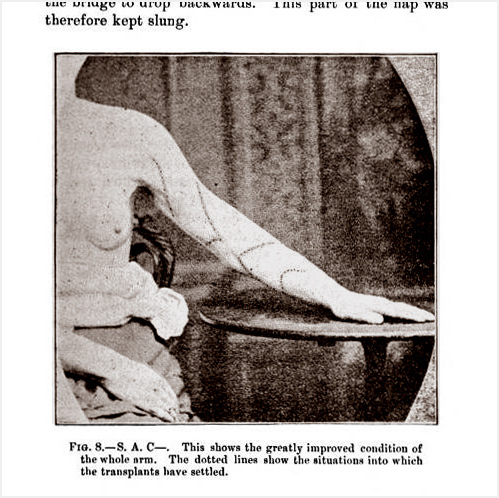 Plastic operations on the neck and arms for severe cicatricial deformities after burns. Journal : Medico-Chirurgical Transactions ; vol. lxxii. Description : 349–372 p. ; ill.: 8 phot. figs. ; 21 cm. Photographs : 8 in-text halftone images of 3 adult females, before and after plastic surgery. Subject : Skin — Burns ; Sequelae. Received March 7th—Read May 14th, 1889. Member, Royal College of Surgeons, 1854. Fellow, Royal College of Surgeons, 1859. Assistant Demonstrator of Anatomy and Surgical Registrar, St. Thomas Hospital, 1860. Surgeon, St. Thomas Hospital, 1871. 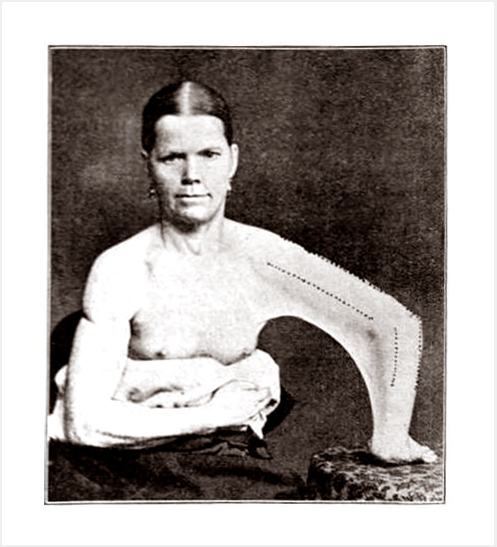 Lecturer on Practical Surgery, St. Thomas Hospital, 1871. Special Lecturer on Clinical Surgery, St. Thomas Hospital, 1881.